$345 for 5 Hours or $395 for 8 Hours. 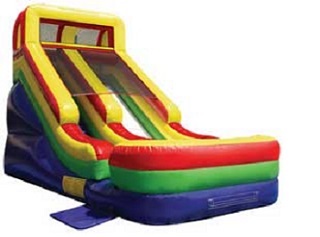 (Plus Tax) You can’t go wrong with the Super Slide! Enter on the left side, climb up to the 18 foot long ride down and repeat! This colourful inflatable is guaranteed to be the centerpiece at any party that will keep children of all ages entertained and active!